Neuschwanstein Castle sits on top of forested hill in Bavaria. Even if you’ve never been before, you’re bound to recognise it from a whole range of movies including Chitty Chitty Bang Bang. It’s also reputedly Germany’s most photographed building. The castle was built by King Ludwig II who lived in the other castle nearby, Hohenschwangau, and watched his new castle take shape through a telescope. 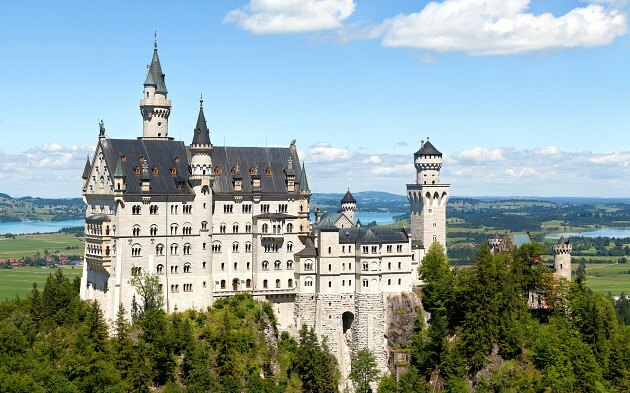 King Ludwig became somewhat obsessed with Gothic looking castles during his life, but despite having Neuschwanstein built to his exacting standards he never got to see it completed. 7 weeks after King Ludwig’s death in 1866, his new castle was opened to the public. Even today, many of the internal features have not been completed but it now welcomes 1.3 million visitors each year. 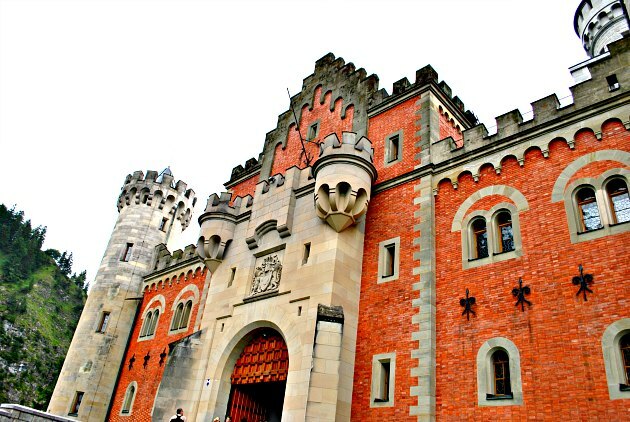 We had always wanted to see this castle and the external features do not disappoint – its totally over-the-top design is truly fascinating. The exterior even inspired Walt Disney when he was designing Sleeping Beauty’s castle. 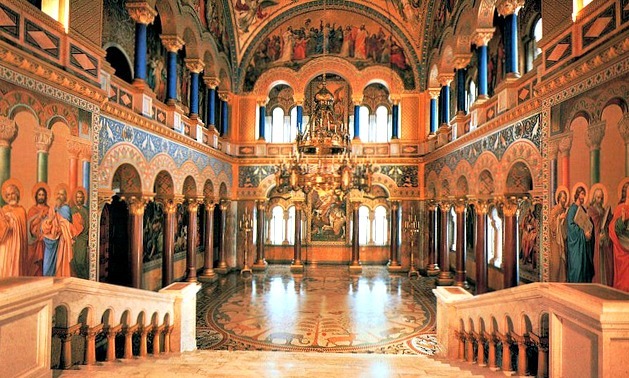 Don’t expect the inside to live up to the outside though as only a few rooms were completed by King Ludwig. You can get a joint ticket which gets you into both castles from the ticket centre at the foot of the hill but we’d recommend booking online in the summer months. 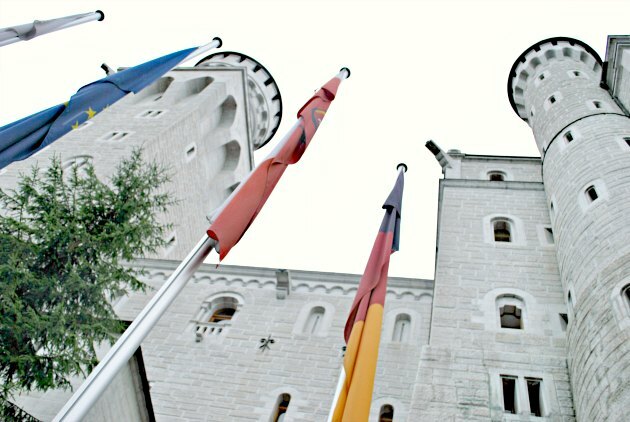 Neuschwanstein Castle is open daily, from April to September between 9am and 6pm, and from October to March between 10am and 4pm. Adult admission is 12 Euros, but we’d recommend the joint ticket with Hohenschwangau at 23 Euros (2016 prices).